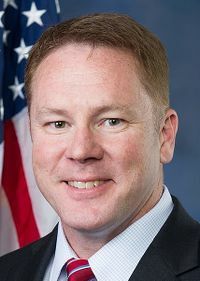 Warren Davidson is a United States GOP House Representative for the state of Ohio. He is among the first U.S. politicians to actively and openly advocate for cryptocurrency regulation and blockchain adoption. Representative Warren Davidson was born in Ohio. Following his high school graduation, he enlisted in the U.S. Army, where he served for 12 years. He enrolled at the U.S. Military Academy at West Point in 1991, declaring a major in American history and a minor in mechanical engineering. He graduated in 1995. In 2000, Davidson moved back to Ohio to help run his father's manufacturing business. Around this time, he started his own company and enrolled in the University of Notre Dame's Mendoza College of Business, from which he earned an MBA. In 2015, he announced that he was running for office as a state representative of Ohio. He won the election in 2016. In September 2018, Davidson hosted a bipartisan roundtable discussion called "Legislating Certainty for Cryptocurrencies" in Washington, DC. The talk was attended by both Democrats and Republicans, as well as stakeholders of private companies such as EF Hutton CEO Chris Daniels. The primary concern addressed at the talk was consumer protection, specifically protecting crypto investors from fraudulent ICOs and other scams. On December 3, 2018, Davidson said at a blockchain event in Cleveland, Ohio that he planned on introducing a bipartisan bill to create an "asset class" for digital assets under federal law. He originally introduced the bill with Representative Darren Soto. Davidson reintroduced the bill, called the "Token Taxonomy Act," on April 9. The bill would amend the Securities Act of 1933 and the Securities Act of 1940. The amendments would exempt certain cryptocurrencies and other digital assets from federal securities laws, allowing individuals to more easily trade or transact with certain cryptocurrencies. In an interview with National Public Radio (NPR), Davidson suggested that the proposed US/Mexico border wall, a key talking point of Donald Trump's 2016 presidential campaign, could be paid for by the U.S. public through an ICO. This "WallCoin" sale could, Davidson suggested, potentially be bought with Mexican pesos. Davidson attended the United States Military Academy at West Point from 1991 to 1995, where he majored in American History and minored in mechanical engineering. He later attended the Mendoza College of Business at the University of Notre Dame, from which he earned an MBA. ↑ A Crypto-Friendly Congressman Seeks to Regulate ICOs. Finance Magnates. ↑ Davidson Hosts Major Roundtable to Protect Consumers from Fraud, Address Urgency to Regulate ICO Market. Warren Davidson Official Website. ↑ Davidson plans legislation to regulate cryptocurrency businesses. Dayton Daily News. ↑ U.S. Rep. Warren Davidson announces legislation to regulate initial coin offerings at Blockchain Solutions conference. Cleveland.com. ↑ Wednesday’s blockchain and crypto news, from Asia and beyond. Asia Times. ↑ Lawmakers Reintroduce Bill to Exempt Crypto Tokens From US Securities Laws. Coindesk. ↑ US Lawmaker Suggests ‘WallCoin’ to Fund Trump’s Mexico Border Wall. Coindesk. ↑ Wednesday’s blockchain and crypto news, from Asia and beyond. Warren Davidson Official Website. This page was last edited on 11 April 2019, at 12:59.